Ohio State University beat Oregon 42-20 in the inaugural College Football Playoff National Championship. Michigan Radio commentator John U. Bacon joined us to discuss the game. Ohio State's win, in spite of being led by its third-string quarterback "will go down as one of the greatest coaching achievements in college football," Bacon says. 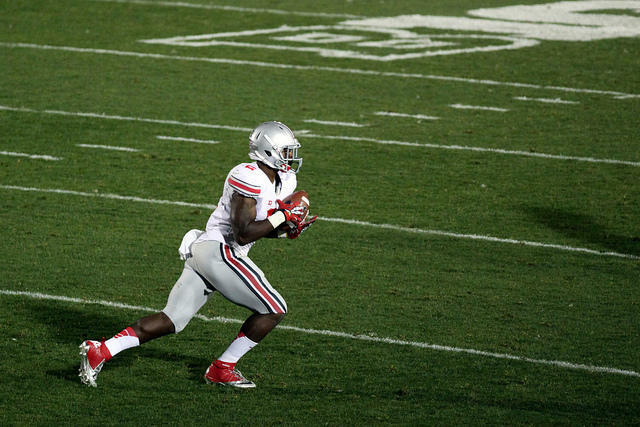 The game allowed many of Ohio State's players to prove themselves on the national stage. Bacon says Ohio State's tailback Ezekiel Elliott will be on the short list for the NFL, along with possibly being a Heisman prospect. And he won't be the only one on his team in the running. Bacon says all three quarterbacks at Ohio State may be finalists for the trophy. Along with the Big Ten's Ohio State winning the National Championship, many other conference teams proved their strength throughout the season. Six out of eleven Big Ten teams won their bowl games. "Based on bowl performances, the Big Ten was better than the SEC," Bacon says. And next year with Jim Harbaugh coming on board to coach the University of Michigan, Bacon sees the conference's strength as only increasing. Is it ever appropriate for a Michigan or Michigan State fan to cheer for Ohio State? Ohio State is the underdog in next Monday's College Football Playoff National Championship game against Oregon. As virtually anyone who follows college sports knows by now, Dave Brandon is now the former Athletic Director at the University of Michigan. Retired Steelcase executive Jim Hackett is the interim AD as the University searches for Brandon's permanent replacement. When it comes to hires like these, the phrase "Michigan Man"comes up again and again. 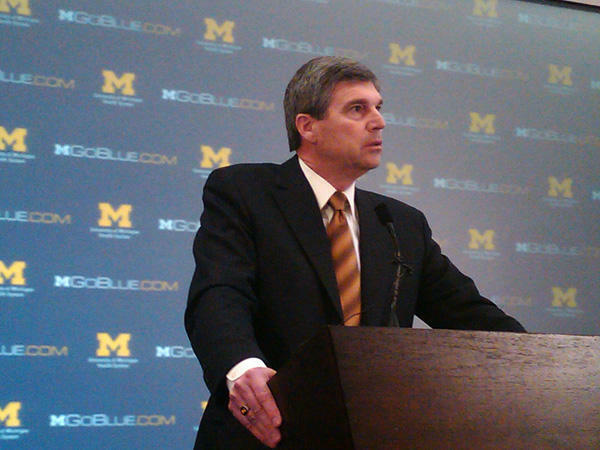 Dave Brandon played for Bo. He seemed to fit the template of a "Michigan Man." Michigan Radio's sports commentator John U. Bacon gives us his insight into what that phrase means. John U. Bacon discusses potential ADs at Michigan.